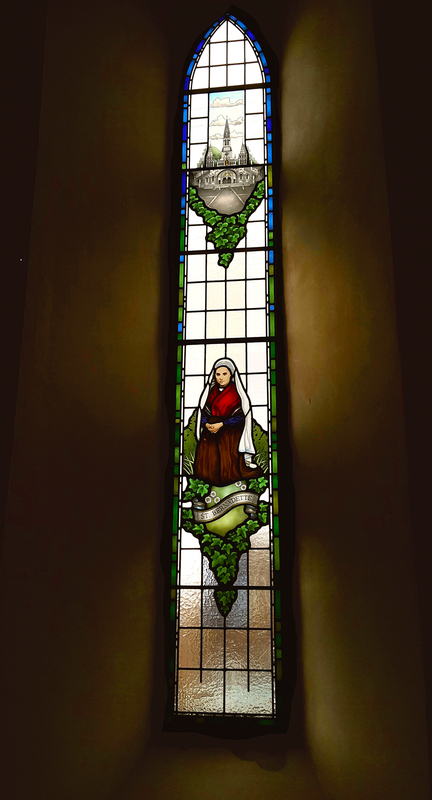 Here is our new stained glass commission featuring St. Bernadette and Lourdes Basilica installed within its new home at St. Mary’s RC Church, Haslingden. Following around 10 weeks work in the studio (images and information of which can be found in a number of previous blog posts), full installation, including external polycarbonate protection, was carried out over the course of two days. Produced and installed in three separate sections, the window was set in place within the stone surround and supported on 6 manganese bronze saddle bars, one of which was shaped to avoid any visual disruption (this bar runs underneath the figure of St. Bernadette). 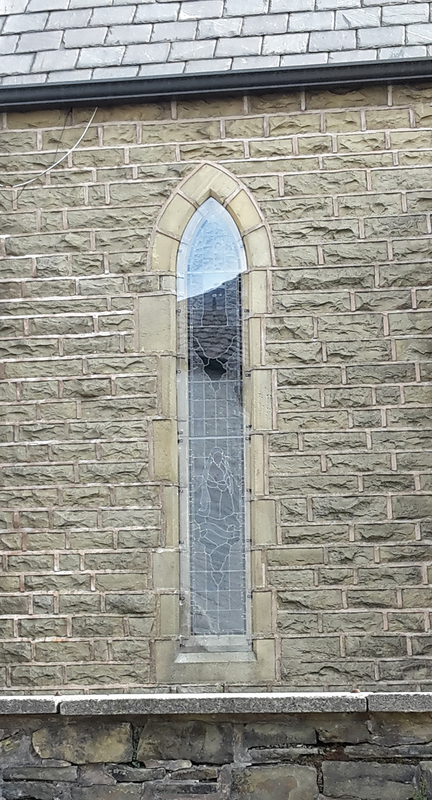 With the original glazing having been secured in place with very cement rich mortar, proving to be very difficult to remove, and the opened up aperture being almost 20mm wider at the top than the bottom, this did prove to be somewhat of a challenging install! 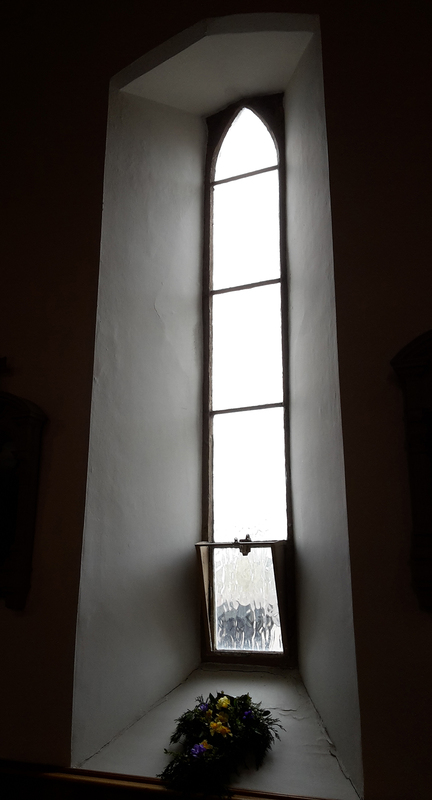 Our images show the newly completed and installed stained glass window, the original straight glazing prior to its removal, and the new external polycarbonate protection.